Unfortunately, 27 gauge was the lowest gauge they had. Also unfortunately, this wire simply isn't being used in vaping right now. Which means that 904L is hard to find for private purchase (most places sell it in massive bulk [we're talking several pounds] for like hundreds or even thousands of dollars, obviously for industrial applications), and when you do find it, there's not much selection available. Plus, there are zero fancy coils made with 904L on the market right now. Of course, the reason it's not being used is because TC-vapers seem content with 316L (obviously not including Nickel and Titanium vapers). Which I get… 316L is wonderful. The claims from UWell are that it provides longer-lasting flavor and better corrosion resistance. I have no clue what gauge or style (round, clapton, etc) of wire UWell is using for their Crown IV coils, and admittedly, I can't speak to the "long-lasting" part right now, but there was less break-in time and the flavor does seem to be… maybe… almost cleaner?… compared to 316L, at least for this 27-gauge round wire I bought. I made two coils, both 3mm ID, 10 wraps including the leads, ohming out to around 0.6037 (interestingly, I think 316L would have ohmed out lower), installed into my HugsVape Lotus (still the best RTA I've used so far). I'm vaping them at 50 watts and 475*F.
I'd actually like to see this and other grades of SS wire being used, honestly. It's pretty cool, and I can't wait to update y'all when I finally do change the coil. 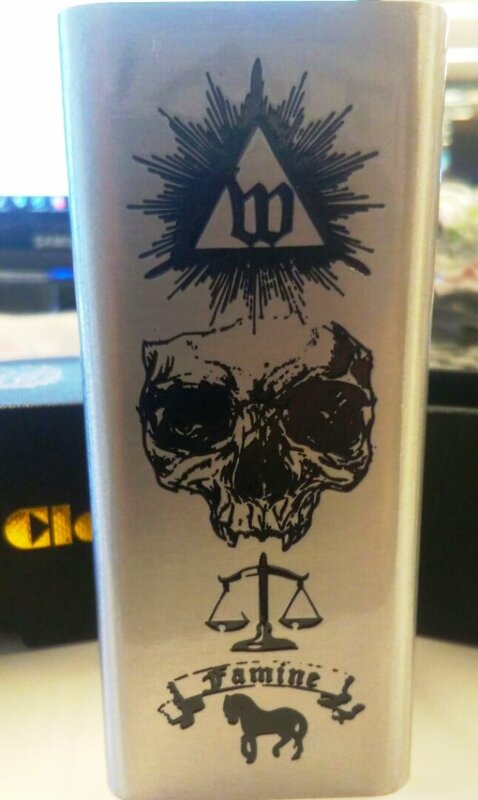 I'm also excited to start reading reviews of UWell's Crown IV, just to see what people think of their 904L coils. vapetraveler thank you. i’ve added the csv to my four dna 250/250c mods as I have 2 crown IV’s already with a 3rd on the way. Call me an early adopter on this one, it’s makes perfect sense to me and I’m very happy Uwell came out with this Replay compatible option before any fad mesh coil that likely won’t live up to their longer lifecycle coils when compared to almost every other I’ve tried.